Discover exciting mountain bike trails around Ortisei, Santa Cristina, Selva, the unique Alpine plateau Alpe di Siusi and the Sella (Sella Ronda) - you won't be disappointed! Choose between challenging tours for experienced mountain bikers and easy tours for beginners and admire the breath-taking panorama of the Dolomites. Single trail tours, enduro bike tours and much more - a wonderful selection for your mountain bike holiday! 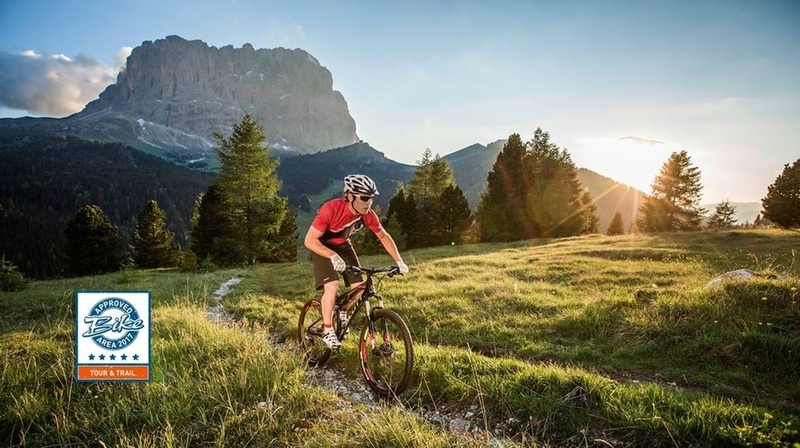 Val Gardena has been awarded with 296 out of 300 points as an Approved Bike Area. A guarantee for a great mountain bike vacation.